Holy Molley It’s been awhile since I’ve blogged! Summer is here and my blogging priorities have become inferior to my playing outside priorities. 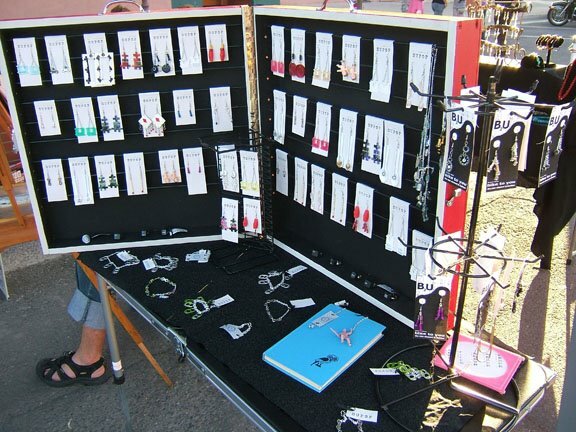 Every Thursday night the streets of Montrose, CO become alive with people, music, food, and vendors. 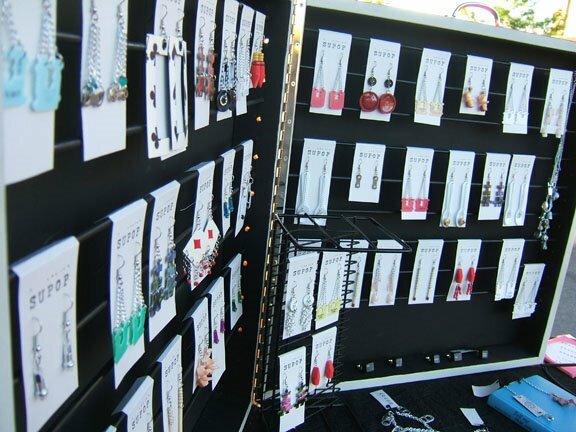 For the last two weeks, I have set up a booth at Main in Motion to sell my new line of jewelry – SUPOP – (Pronounced Soo-pop). For those who are wondering what the name means, it is a combination of my middle name, Sue, and Pop, from Pop Art. “Pop art challenged tradition by asserting that an artist’s use of the mass-produced visual commodities of popular culture is contiguous with the perspective of fine art. Pop removes the material from its context and isolates the object, or combines it with other objects, for contemplation. The concept of pop art refers not as much to the art itself as to the attitudes that led to it.” SUPOP has adopted the “Challenge Tradition” attitude by taking everyday objects such as matches, erasers, playing cards, fake fingernails, puzzles, bread clips, bicycle chains, etc. and transforming them into wearable art.